Christmas is fast approaching, and we all know what that means- series of family gatherings, reunions, parties and get together. 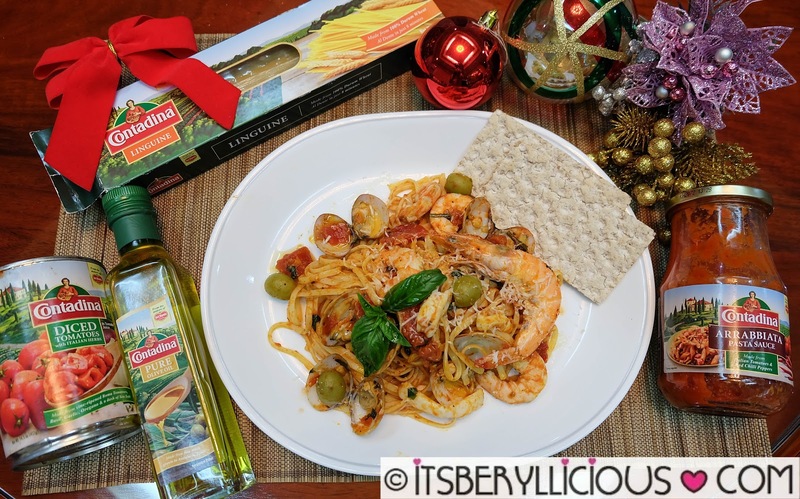 While the holiday season often calls for festive celebrations and fancy restaurant dining, there seems to be an unparalleled feeling of comfort in dining at home during this time of year. Coincidentally, I was sent a gift pack containing a variety of Contadina products last week. Thus, D and I decided to stay at home and cook something instead of our usual Saturdate plans. Contadina is a popular brand of Italian-inspired products such as tomato sauce, pasta, canned tomatoes, olive oil and more. 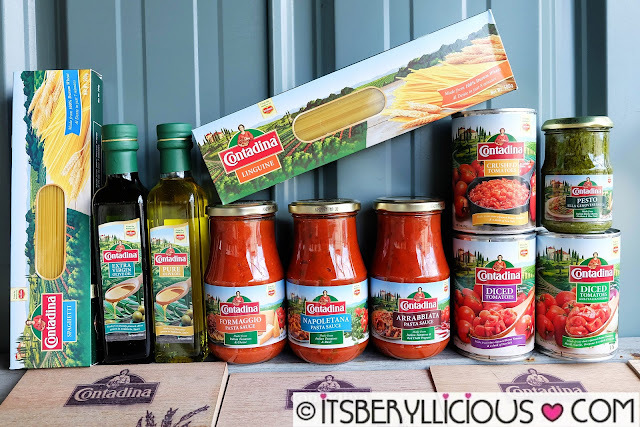 Contadina endorser, and self-taught domestic goddess, Nigella Lawson, believes that cooking at home begins with sourcing the freshest and quality ingredients, to bring simplicity, authenticity, and passion to every home cook's kitchen. Thinking that the holidays would bring in the extra calories, I decided to prepare a healthy yet festive holiday recipe. This recipe is very simple and easy to follow even for first timers. 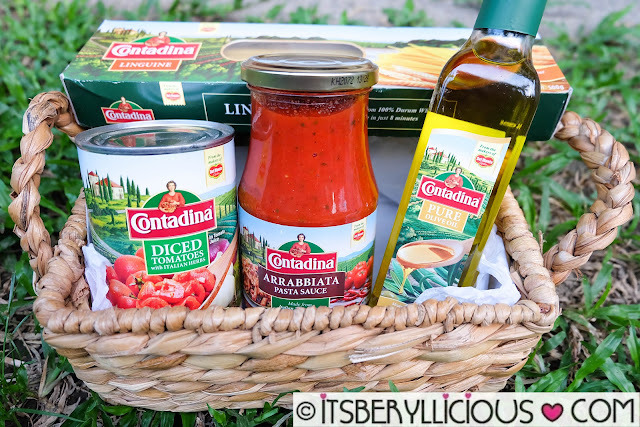 Key to perfecting this dish is the use of fresh ingredients and of course, quality products like Contadina. 2. In a saucepan, saute garlic and onions in olive oil. 3. Add arrabbiata sauce, diced tomatoes, olives and basil. 4. Mix pre-cooked seafood in the sauce. 5. Toss the pasta and cook over low heat for 1 minute. 6. Garnish with cheese and basil, then serve. Now, here's your chance to recreate this dish or whip up a Contadina Holiday Recipe of your own! How? Follow the mechanics via rafflecopter below and be the lucky winner of a Contadina Holiday Package! 3. Answer the question and leave name and email in the comments section. 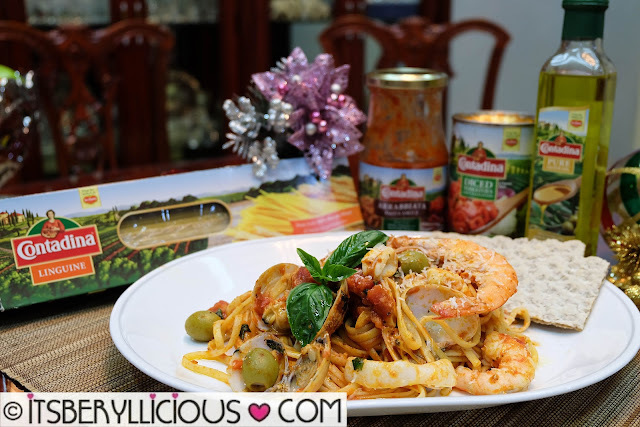 I will cook Contadina Holiday recipe for my husband and 2 kids.